This women's ring offers plenty of sparkle. 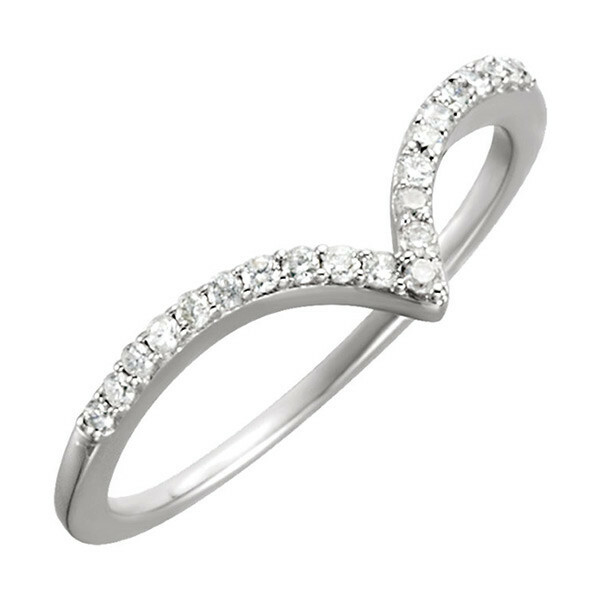 Crafted in 14kt white gold, it features a v-shape of diamonds decorating the front. The ring is light, bright, and just waiting to adorn your finger!